Edited from material originally written by the Belcher lab. Special thanks to Mark Allen, and Lieutenant Colonel F. John Burpo. The materials prepared in this lab have activity as battery electrodes. 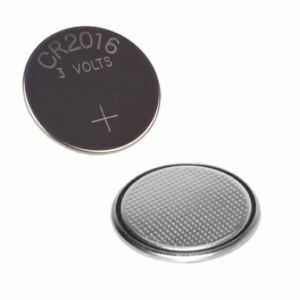 The redox properties of the material will determine the operating voltage of the electrode, while other properties of the material will improve capacity (how long the battery will last under a given current load) and rate capability (how quickly the battery can be discharged or charged). Capacity and rate capability can be improved by either making materials very small (nanomaterials) or by incorporating conducting metals into the matrix of the material. Assembly and testing of the phage-based battery will take place over several sessions. Today's lab will focus on material synthesis. The next lab will be analyzing material by TEM. In the final sessions of the module, dried materials will be formed into electrodes, and finally, these materials will be assembled into a coin type battery and tested. Groups will vary the amount of silver in the gold phage nanowires to see how these variations affect the charge/discharge cycle. Today in lab you will calculate the concentration of phage stock you've prepared and then react it with gold and silver. You will have time while these reactions are going on to work on the research proposal idea you've got started with your lab partner. Count the number of plaques on your phage titering plates from last time. Calculate the concentration of phage in your undiluted purified phage sample. Be sure to take into account each dilution when you try this calculation. Express the concentration as PFU/ul and determine the volume of phage needed to make 10 ml of 3.5x10^7 PFU/µl. Make this dilution in TBS. Add 1ml of Au+ and invert one time exactly. Place the tube, lying flat, on the orbital shaker in the hood (speed = 50) and rock at room temperature for two hours. Add 300µl ascorbic acid (a reducing agent), making sure to place the tip of your pipetman under the surface of the solution when you add the ascorbic acid to the nanowires. Do not vortex and do not invert. Add the volume of Ag+ you and your partner have been assigned (10, 33 or 50%--sign up on talk page), again adding the solution of silver with the tip of your pipetman submerged in the nanowire solution. Do not vortex. Instead invert 3 times exactly. Incubate by taping the tube horizontally on the desk (static) until the next lab period. Next time you'll collect the nanowires with centrifugation then wash and visualize them by TEM. you should not propose any research question that has been the subject of your UROP or research experience outside of 20.109. This proposal must be original. Define your research proposal or exhibit ideas by making a wiki page to collect your thoughts and resources (you can do this on one page with your partner or split the effort and each turn in an individual page). Please start your wiki page name with "20.109(F09): your names and/or topic here"
You can organize your wiki page along these lines or however you feel is most helpful. Print your user page(s) for next time, making sure it defines your topic, your idea and some references you've collected and summarized. This page was last edited on 19 November 2009, at 20:16.